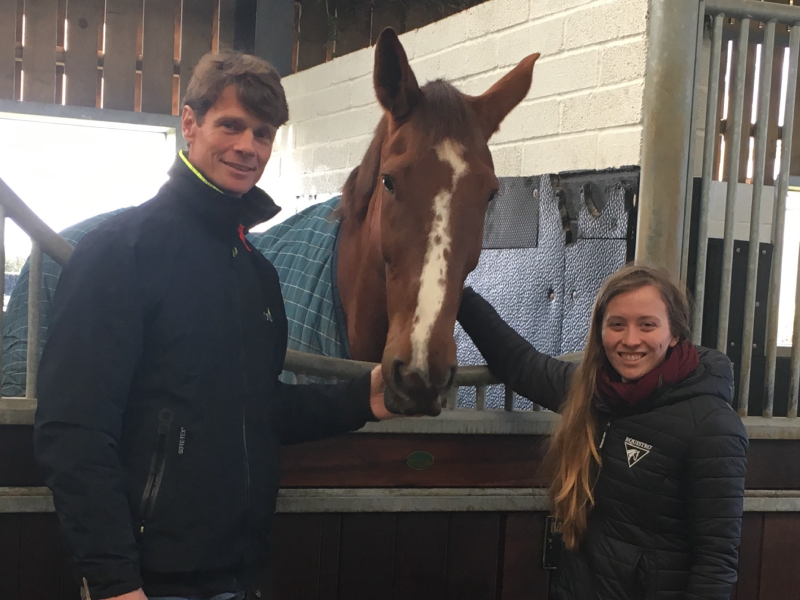 Equistro was delighted to catch up with sponsored rider William Fox-Pitt recently. William has had an exciting year bringing on rising stars at 2* level and is looking forward to continuing their education in 2018, aiming at 3* for some of them. William strongly believes in preparation being the key to success, therefore designing a suitable nutritional plan for each horse and their individual needs play a key part in knowing he is doing everything he can to optimise his horses’ performance. He uses Chrysanphyton, Respadril and Megabase all year round, as well as Flexadin UC-II for the more established horses. Head groom Jackie commented that during the eventing season she always takes a travel sized bottle of Respadril in case the stables are dusty and she has also found Haemolytan to be excellent for keeping the horses looking and feeling on top form during periods of hard work. When deciding what supplements to feed, William stresses that all horses should be treated as individual cases and given a plan that meets their needs. We are looking forward to following William this year, follow us on Facebook or Twitter to have the chance to enter unique competitions for some great experiences with the man himself in 2018!